This toy shark tooth necklace is an attention grabber. With a prehistoric, aged look as if buried for centuries, it's a great find! 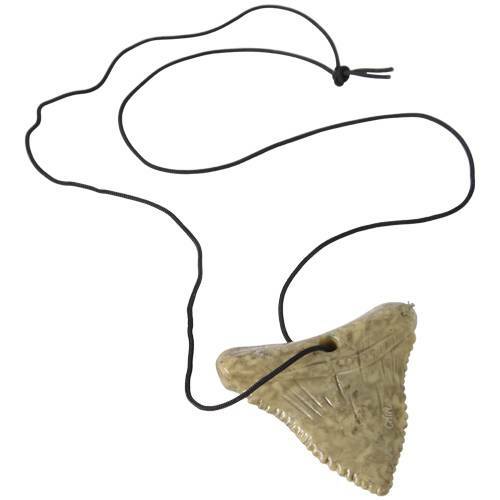 Includes rubber shark tooth on a 28" black cord necklace. U.S. Toy Exclusive! Need an idea for an inexpensive party favor bag filler? Jewelry items are a great choice. We have the costume jewelry that will appeal to both boys and girls. Find jewelry suitable for dress up, pretend play or costume accessories.